Select Samsung Galaxy phones won’t let you delete Facebook, should you be worried? Both Facebook and Samsung say that this is due to a deal between the companies but users can disable the app and it “acts like it’s been deleted”. Some Samsung Galaxy phones have Facebook app installed permanently. The app cannot be deleted but only be disabled. Samsung and Facebook say it is due to a deal between the two tech companies. It seems like Facebook is stuck in a temporal loop in which controversies hit the social media every now and then. In a latest incident, users of selected Samsung phones are “perturbed” after they found out that they cannot delete, but only disable the Facebook app on their phones. Bloomberg reports of two incidents where users have talked about their privacy concerns and their helplessness on not being able to remove the app from theri devices. The report talks about Nick Winke, a photographer in the Pacific northwest, who owns a Samsung Galaxy S8. He says that his phone came with Facebook app already installed on it. He has used the app to connect with friends and to share pictures but after sometime, he decided to remove it from his phone. To his surprise, he found that the app was undeletable and could only be disabled on the phone. Apple, Google, Twitter & Facebook are celebrating Earth Day 2016. Are you? “It just absolutely baffles me that if I wanted to completely get rid of Facebook that it essentially would still be on my phone, which brings up more questions. Can they still track your information, your location, or whatever else they do? We the consumer should have say in what we want and don’t want on our products,” Bloomberg quoted Winke as saying. Since the revelations last year, Facebook is being pulled up for its information-sharing practices leading regulators to reinforce the rules on how the data is collected online. Last year, #DeleteFacebook was trending all around the world in the wake of Facebook-Cambridge Analytica data leak scandal. People across nations advocated the move protesting against the social media giant’s questionable user privacy policies and the way it handled private data. For Balwinder Singh, who lives in the Susquehanna Valley of the eastern US and works in transportation, the experience was ‘bothering’. He bought his Samsung phone seven months ago and when he was setting up the device, he first tried to delete the Facebook app. “My news feed was full of negative stuff, people going crazy on social media. It was affecting me emotionally and mentally,” he was quoted as saying. The report says that even after disabling the app, he was bothered to still have it on his phone. According to a Facebook spokesperson, the disabled version of the app acts like it’s been deleted, so it doesn’t continue collecting data or sending information back to Facebook. The company says that said whether the app is deletable or not depends on various pre-install deals it has made with phone manufacturers, operating systems and mobile operators globally over the years, including Samsung. Samsung echoed Facebook’s comments saying that it provides a pre-installed Facebook app on selected models with options to disable it, and once it’s disabled, the app is no longer running. 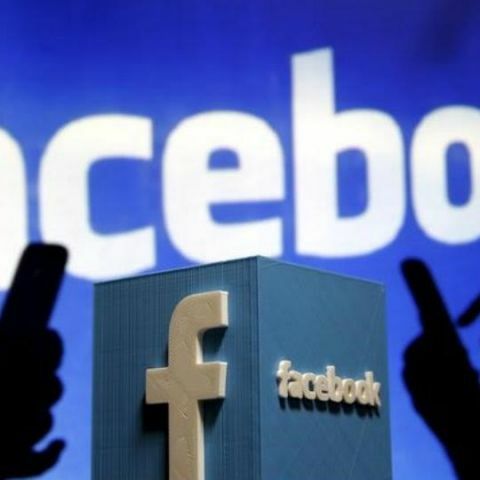 Reportedly, Facebook declined to provide a list of the partners with which it has stuck deals for permanent apps, saying that those agreements vary by region and type.